Boozhoo (“hello”) from Jason P. Dropik. Jason is a member of the Bad River Band of Lake Superior Ojibwe. Jason serves as the Head of School at the Indian Community School working with families, teachers, students, staff, and community members to provide the best possible learning experiences for everyone. 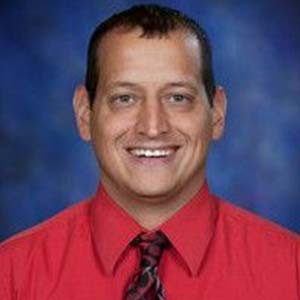 Jason takes great pride in the ICS mission and commitment to life each day at the school, fostering meaningful relationships within the school, in the community, and with other Native organizations. As a leader of an intertribal school, he continually seeks out opportunities to learn about all our Nations. Jason is extremely honored and excited to return to UWM and being part of the EQI – Teacher Training and Administrative Leadership (TTAL) Program. He obtained his BA degrees in early and intermediate education from the University of Wisconsin-Milwaukee and a master’s degree in Administrative Leadership from Concordia University. When Jason is away from ICS, he enjoys spending time with his wife Jamie and three children: Caden (16), Brennan (10) and Rilynn (8) learning about their culture, camping, hiking, canoeing and playing sports.